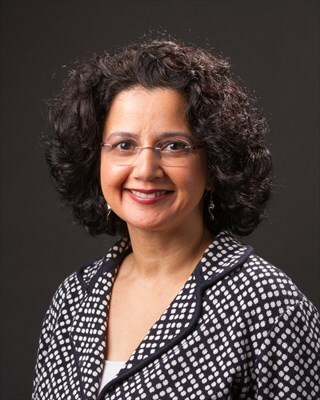 Neera K. Dahl, MD, PhD, is Associate Professor, Section of Nephrology, at Yale University School of Medicine in New Haven, Connecticut, where she also serves as director of the nephrology clinical trials program. She is medical director for DaVita Dialysis, also in New Haven. She earned her medical degree at Tufts University School of Medicine in Boston, Massachusetts, and her doctorate in physiology at Sackler School of Biomedical Science, also at Tufts. Brittany P. Cavanaugh, DO, is an internal medicine primary care physician with Yale Health Center, New Haven, Connecticut. She earned her doctorate at Ohio University Heritage College of Osteopathic Medicine in Athens, Ohio and completed her residency in internal medicine at University of Louisville in Louisville, Kentucky. Effectively addressing those gaps encompasses educating primary care clinicians, nephrologists, and genetic counselors, each of whom plays a key role in the care of patients with ADPKD. This continuing medical education activity was developed to address those needs. 1. Chapman AB, Devuyst O, Eckardt K-U, et al. Autosomal dominant polycystic kidney disease (ADPKD): executive summary from a Kidney Disease: Improving Global Outcomes (KDIGO) Controversies Conference. Kidney Int. 2015;88:17-27. 2. Yrad ALS, Humphreys C. Primary care perspectives in autosomal dominant polycystic kidney disease. Nurse Pract. 2017;42:8-11. This activity is supported by an independent educational grant from Otsuka America Pharmaceutical, Inc. This activity was released on 12/31/18 and is valid for one year. Requests for credit must be made no later than 12/31/19. The educational design of this activity addresses the needs of nephrology and primary care providers involved in the treatment of patients with ADPKD. This activity has been planned and implemented in accordance with the accreditation requirements and policies of the Accreditation Council for Continuing Medical Education (ACCME) through the joint providership of Global Education Group (Global) and Global Academy for Medical Education. Global is accredited by the ACCME to provide continuing medical education for physicians. Global Education Group designates this enduring material for a maximum of 0.5 AMA PRA Category 1 Credit™. Physicians should claim only the credit commensurate with the extent of their participation in the activity. This educational activity for 0.5 contact hours is provided by Global Education Group. Nurses should claim only the credit commensurate with the extent of their participation in the activity. In order to receive credit for this activity, the participant must read the activity information, review the activity in its entirety, and complete the online post-test and evaluation. Upon completing this activity as designed and achieving a passing score on the post-test, you will be directed to a web page that will allow you to receive your certificate of credit via e-mail or you may print it out at that time. Has been a Consultant/Independent Contractor and a member of the Speakers’ Bureau for Otsuka America Pharmaceutical, Inc. This educational activity may contain discussion of published and/or investigational uses of agents that are not indicated by the FDA. Global Education Group (Global) and Global Academy for Medical Education do not recommend the use of any agent outside of the labeled indications. Copyright © 2018 by Global Academy for Medical Education, LLC, Frontline Medical Communications, Inc. and its Licensors. All rights reserved. No part of this publication may be reproduced or transmitted in any form, by any means, without prior written permission of the Publisher. Global Academy for Medical Education, LLC, the accredited provider or the Publisher will not assume responsibility for damages, loss, or claims of any kind arising from or related to the information contained in this publication, including any claims related to the products, drugs, or services mentioned herein.